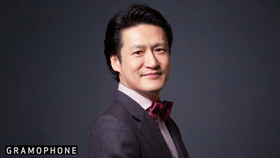 Acclaimed pianist and organist Jae-Hyuck Cho is one of the most active concert artists in Korea. He has been described as "a musician who is nearing perfection with an extraordinary breadth of expression, flawless technique, and composition, sensitivity, and intelligence, insightful and detailed playing without exaggeration." As the winner of the Pro Piano New York Recital Series Auditions, Jae-Hyuck made his New York debut in 1993 at Carnegie Hall's Weill Recital Hall. He has since been active as a recitalist, a soloist and a chamber musician throughout North America, Europe, and Asia, appearing in venues including New York's Carnegie Hall and Lincoln Center, Seoul Arts Center of Korea, the Opera House of Monte Carlo, and Moscow's The Great Hall, Tchaikovsky Hall, and Rachmaninoff Hall. He also has made appearances with numerous orchestras including the Monte-Carlo Philharmonic Orchestra of Monaco, New Jersey Symphony, Louisiana Philharmonic, Plano Symphony and San Angelo Symphony of Texas, Jalisco Symphony of Mexico, and most major orchestras in South Korea. His interest in collaborating with artists of different mediums led him to work together in special projects with the Korean National Ballet and an illusionist Lee Eun-gyeol, resulting in creating new ways to merge different genres. Jae-Hyuck started his organ studies at age sixteen at Manhattan School of Music Pre-College. He continued his organ studies while he was earning academic degrees majoring in piano. He served as organist/director of music in several churches in New York and New Jersey area for over 23 years. His last post was at The Old First Church of Newark, New Jersey, founded in 1666, where he had a privilege working with a professional choir and 100-rank Austin organ circa the 1930s. Along with his already established career as a concert pianist, he has been expanding his musical endeavors as an organist. His last major organ performances include recitals at the Lotte Concert Hall of Seoul, Elim Concert Hall of Incheon, and Cathédrale Saint-Pierre d'Angoulême, France. Jae-Hyuck premiered for Korea of Joseph Jongen's Symphonie Concertante, Op. 81 at Seoul Arts Center Concert Hall in 2018 with the Korean Symphony Orchestra. After a successful release of his Beethoven Sonatas album on SONY Classical in 2017, Jae-Hyuck is scheduled to release three more albums in the year 2019 alone. A concerto album with Adrien Perruchon and Royal Scottish National Symphony on SONY Classical is scheduled to be released in February 2019, an organ album recorded at l'église de la Madeleine of Paris and a Chopin album recorded at Beethovensaal in Hannover are expected to be released on Aparté label in late spring, 2019. 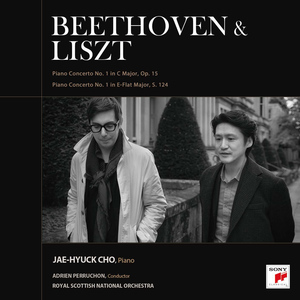 Acclaimed South Korean pianist Jae-Hyuck Cho released his debut concerto recording on SONY Classical with Adrien Perruchon conducting the Royal Scottish National Orchestra. The album also marks the recording debut of conductor Adrien Perruchon. Michael Fine produced the sessions in Glasgow with engineer Jin Choi. Featuring the first piano concertos of Beethoven and Liszt, the CD made the playlist of GRAMOPHONE's ‘Listening Room' shortly after its release. Jae-Hyuck Cho is one South Korea's most active performing artists both at home and abroad. He has been described as "a musician who nears perfection with an extraordinary breadth of expression, flawless technique, and composition, sensitivity, and intelligence, insightful and detailed playing without exaggeration." He is a graduate of both the Juilliard School and the Manhattan School of Music.